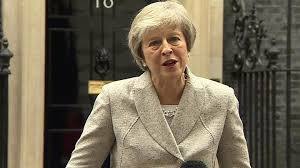 Theresa May has hailed the draft agreement on post-Brexit relations as “right for the whole of the UK” and insisted a deal “is within our grasp”. The political declaration – outlining how UK-EU trade, security and other issues will work – has been “agreed in principle”, the European Council says. The prime minister told MPs it would deliver the Brexit people voted for. Labour Leader Jeremy Corbyn described the agreement as “26 pages of waffle” which “could have been written two years ago”. “This is the blindfold Brexit we all feared – a leap in the dark. It falls short of Labour’s six tests,” he added.